The local football season is not that far from commencing and the games will be played under the auspices of Makana LFA which is the only football association in Makhanda (Grahamstown). The premier division usually consists of 16 clubs, all of which have two to three junior teams, while the first division usually consists of around ten teams who fight to gain promotion. Sophia stars is one of the most promising sides and has a very good development structure in place. Contact: Teko at 0646180233. Joza Callies is one of the oldest teams in town with a good history. Contact: Louis at 0781445585. Santos is one of the well known teams and are also cup specialists who enjoys a good following from their fans who sing for the whole game. Contact: Xolela at 0769865894. City Pirates play in the regional league and also have a very good youth structure. Contact: Thobela at 0833559339. Maru also plays in the regional league and is one of the strongest sides in town and have won the New year’s cup twice in a row. Contact: Siya at 0785065949. Others teams include: Love and Peace – Dingana at 0737286197. New Town City – Tandazile at 0788665149. Cameroon – Tsotsa at 0608189562. Attackers – Tanduxolo at 0827223389. Jacaranda Aces – Chris at 0733000445. African Connection is the local ladies team, the only ladies side in town, not including the university side, and is one of the most successful local sides with seven regional tittles.  Contacts – Nwabisa at 0623626787. For more information on Makana LFA teams and competitions contact Mr. A Heshu who is an executive member at 0730044179.